Jack Dyer would have been the King of Twitter. RICHMOND legend Jack Dyer once famously uttered "I won't say anything in case I say something" but thank goodness he didn't always follow that advice. 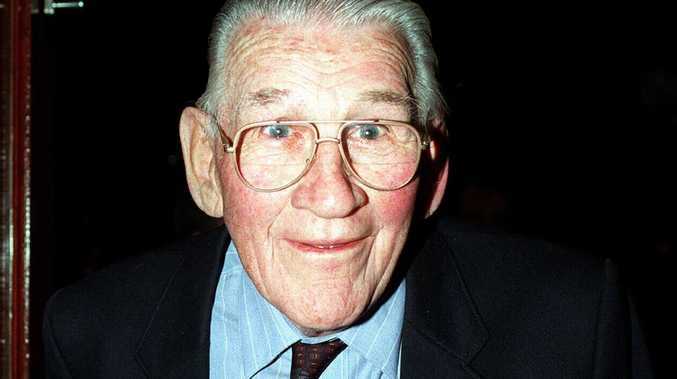 As far as quotable figures in AFL history go, the 312-game Tigers champion - who also coached his club for 222 games, many of those while still playing - is top of any list. It's no surprise Dyer features more often than any other coach in a book featuring a collection of the best one-liners in footy history. AFL Wit and Wisdom of the Coaches, compiled by Melbourne-based writer Eamon Evans, offers a glimpse back at the days before the cliche-driven press conferences of today. There's dozens in there, but here are 10 of the best - including some of Dyer's most memorable. "I want you to pair off in threes." Jack Dyer was known as Captain Blood, not Sergeant Maths. "It was all about kicking it long, starting a brawl, kicking it long and starting another brawl." David Parkin on his mentor John Kennedy's game plan. "Fitzroy just copulated to the opposition." Jack Dyer, wordsmith. 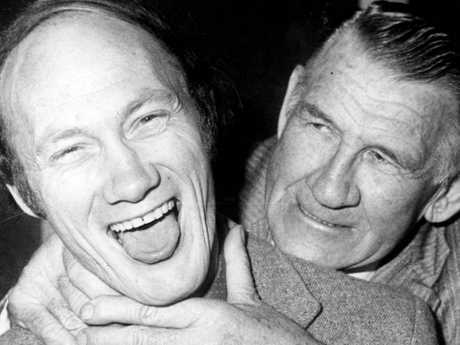 Kevin Bartlett with Jack Dyer. 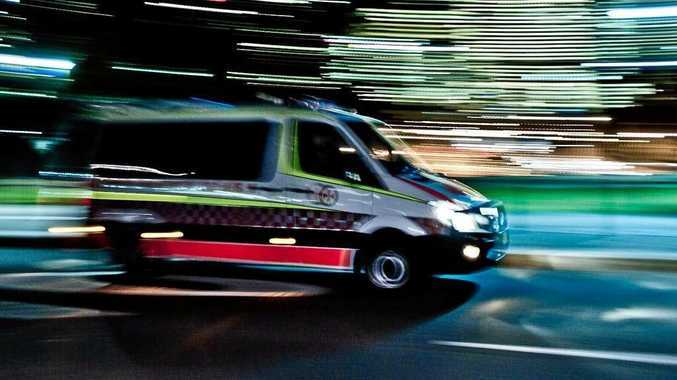 "Bartlett's older than he's ever been before." A timeless insight from Jack Dyer. "Our colours don't clash with any other team, they clash with each other." Fremantle coach Chris Connolly in the days of green, white and purple. "Lou hasn't got any enemies ... but his friends don't like him." Jack Dyer on his good friend Lou Richards. 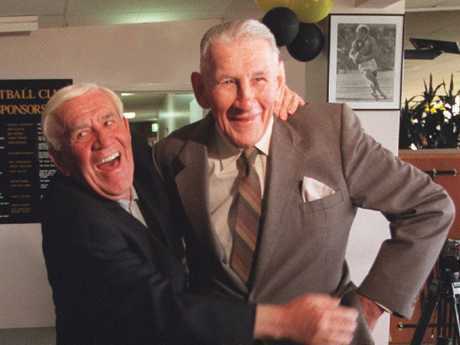 Lou Richards and Jack Dyer. "Next time you're having a meal of bacon and eggs, just ask yourself who made the greatest commitment to the meal - the pig or the fowl? The old chook's partially involved by providing the egg. The pig made a total commitment. "Allan Jeans imploring his players to commit to the cause. "How about a taxi?" Rodney Eade after a thrashing when asked what he could take away from the game. "You're lucky you're getting a kick, son." Allan Jean to Dermott Brereton the day Dermie turned up with dyed blonde hair and green boots. "We're in deep s*** as a footy club. We've got too many blokes who just can't play at this level." Hawthorn's Peter Schwab to his assistants in the coaches box.